So, I am writing my first tutorial today, and I hope it will be helpful to you. I really don’t use a lot of patterns. 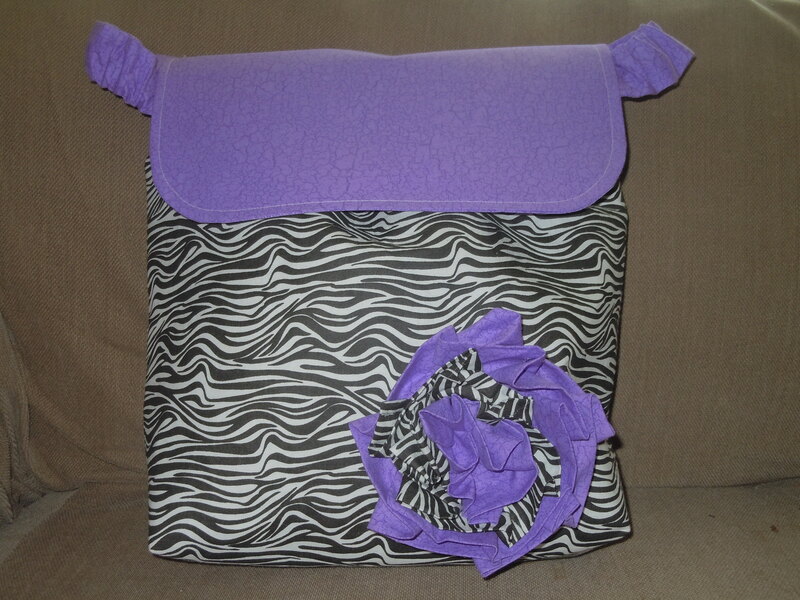 I have a system for making bags and purses that can be applied to many different styles. It is simple. So, here goes! The target is a cute bag for a wheelchair. A “wheelie” can’t really practically carry a purse on her shoulder as she pushes herself. So, she needs something cute to secure to her chair. And they can be so stylish, and so NOT old-ladyish. The first step is to measure the back of the chair. Measure between the handles and then take off about an inch. In this case, we are cutting the width at 13 1/2″. The length is 15″. Choose your fabric! You will need outer fabric, lining fabric and interfacing. So for each step, cut one from each of those three items. The bottom needs to be our 13.5″. Then add 2.5 inches on each side at the top. I use a ruler to make sure I am cutting it evenly. Cut one of the outer, one lining, and one interfacing. For the back of the bag, cut it simply 13.5″ x 15″. 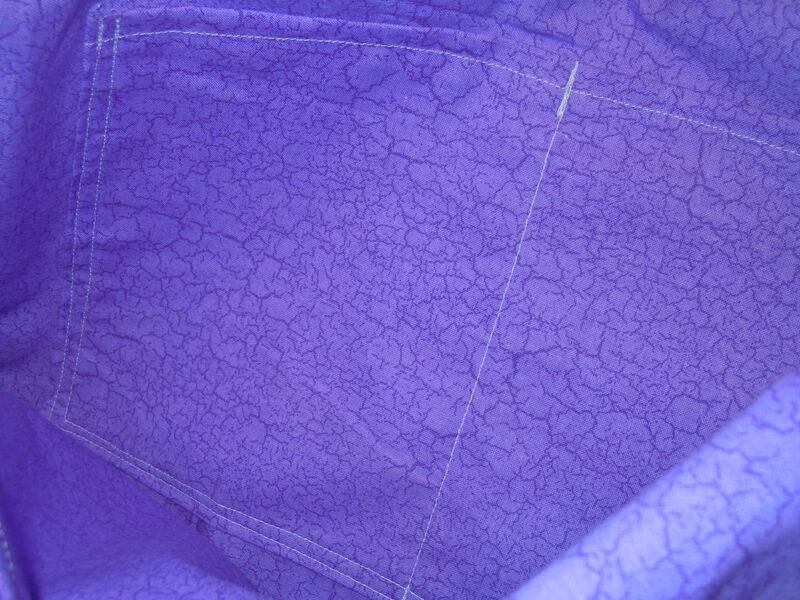 One outer, one lining, one interfacing. Iron the interfacing on the front and back pieces of the outer fabrics. Then let’s add elastic to the front. The reason is that when the bag is stretched between the handles, there isn’t a lot of “give.” Adding hidden elastic makes it easier to reach around and get into the bag. I used about 7″. 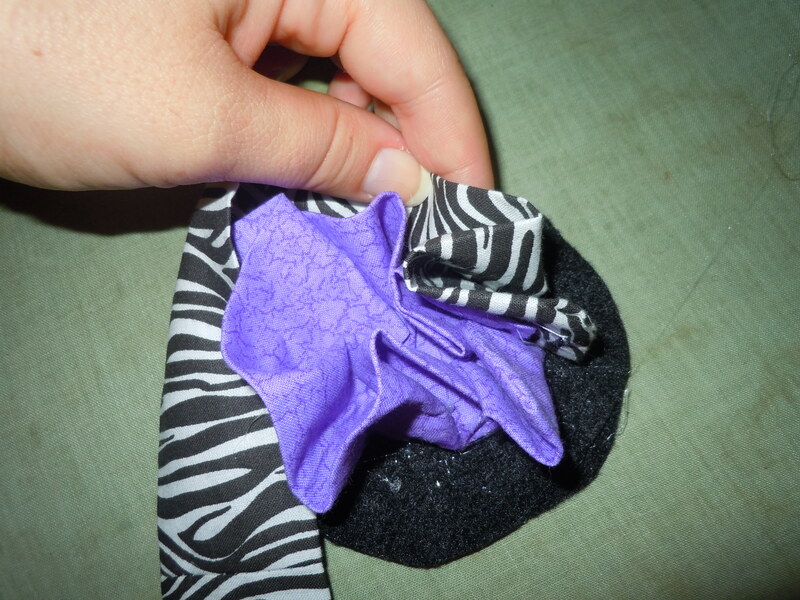 Stretch it out and sew it onto the center of the bag. When you’re finished, it should gather up the bag. For this style of bag, we are putting a flower on the front. But I wanted it to be removeable, so I made a tiny loop to secure the flower to. I sewed it to the bottom right front of the bag. 🙂 I just used a tiny loop of fabric. You could also use a tiny piece of ribbon. 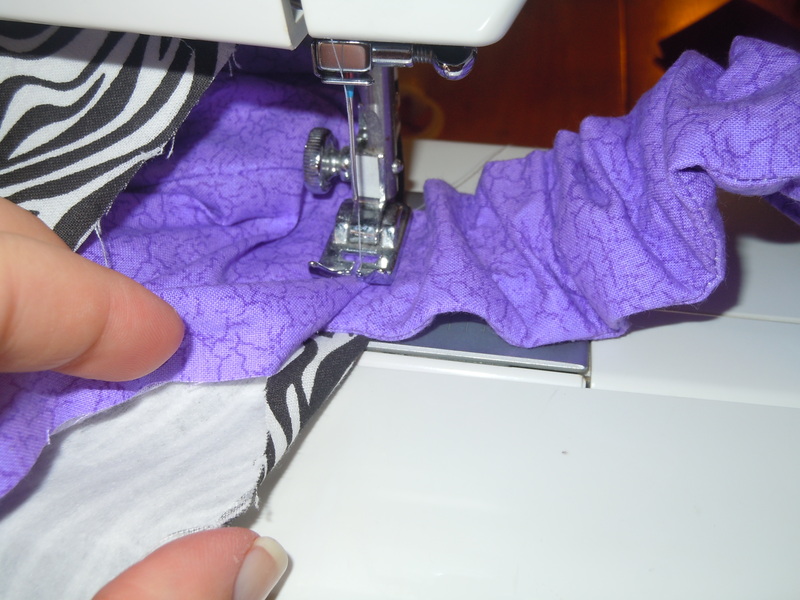 Just sew on two sides to make an open slit down the center. You want the flower clip to be able to fit, but you want it to be nice and snug so the flower isn’t floppy! So make your slit pretty small. A pencil shouldn’t be able to fit in it. 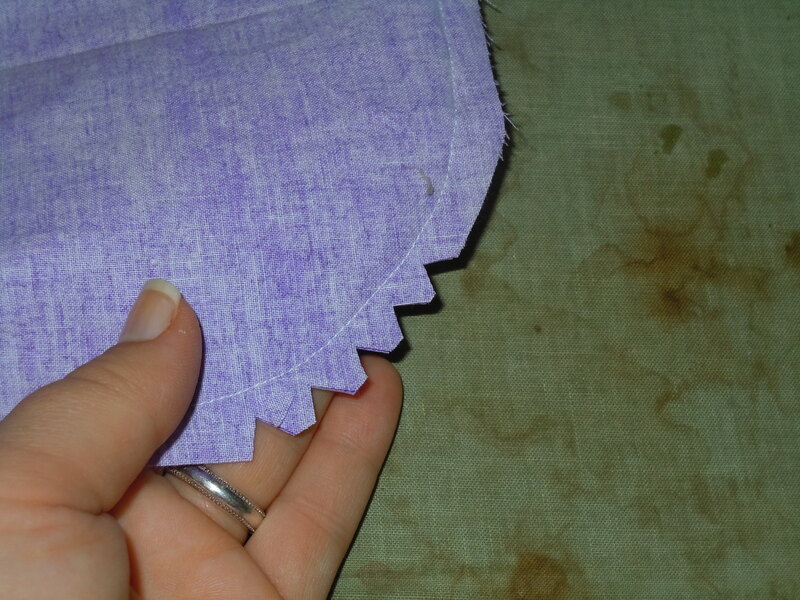 Or… you could skip this step and just sew on the flower. Or you could eliminate the flower. Now for the velcro, or snap, whatever you choose. Pick a piece and sew it onto the front center, about 2 to 3 inches from the top. 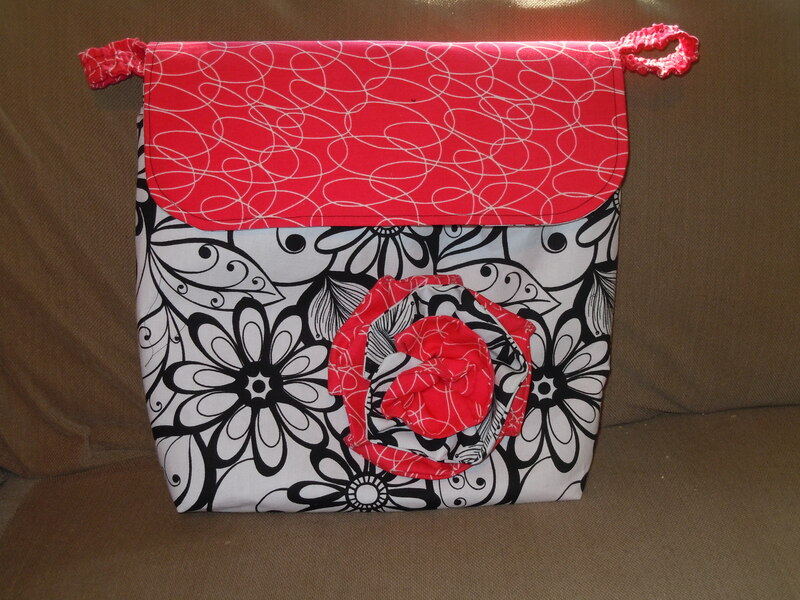 Now you’re ready to sew together the sides and bottom of the outside of the bag. Put the right sides together and sew! Sew this together. This will form the bottom of the bag. See the seam just about 1.5″ from that triangle tip. I usually go back and forth a few times on that seam. Do this on both bottom edges. Then snip off the edge. Now for the lining. 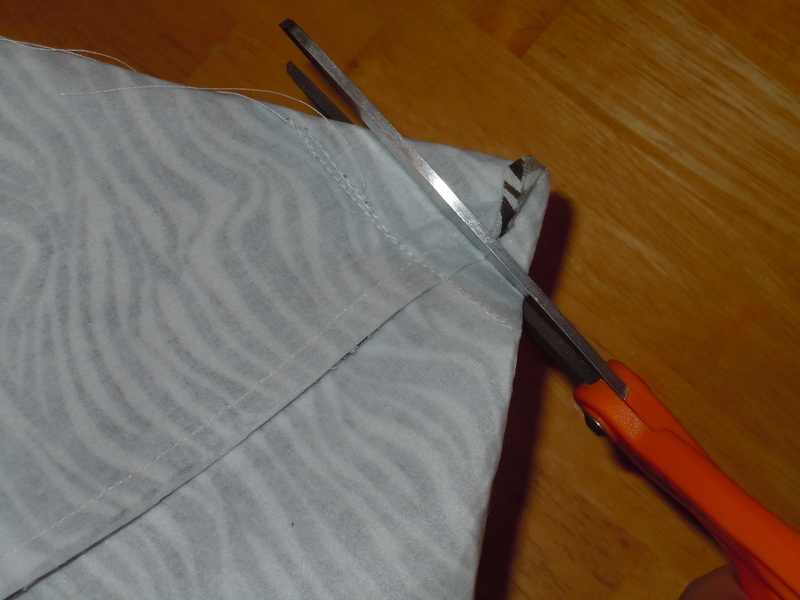 Cut out two pockets from your lining fabric. Mine are about 8×11″. Hem the top edge. Fold under and crease the other three edges. Pin onto the front and back pieces of the lining. Sew on. I also like to sew down the center to make each pocket into two. Sew the front lining piece to the back lining piece. (Sides and bottom). 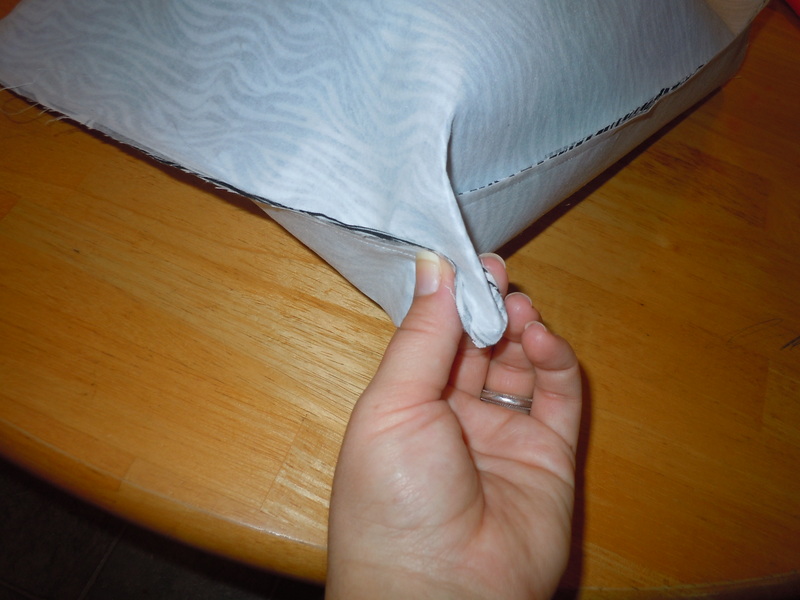 Pinch the corners to make the bottom of the bag, just like you did the outer fabric. Next, the front flap. Your flap needs to be about an inch less than the width of the bag. So, my bag was 13.5″ wide; my flap is about 12 – 12.5″. The length of mine is about 9″. You could do less, or more if you want messenger style. 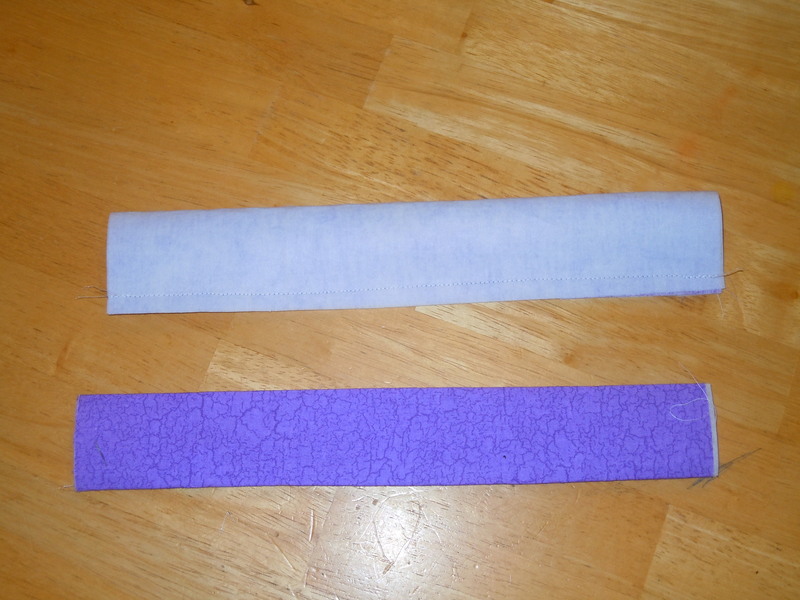 Cut two from the lining fabric (or depending on the look you want, one of outer, one of lining). 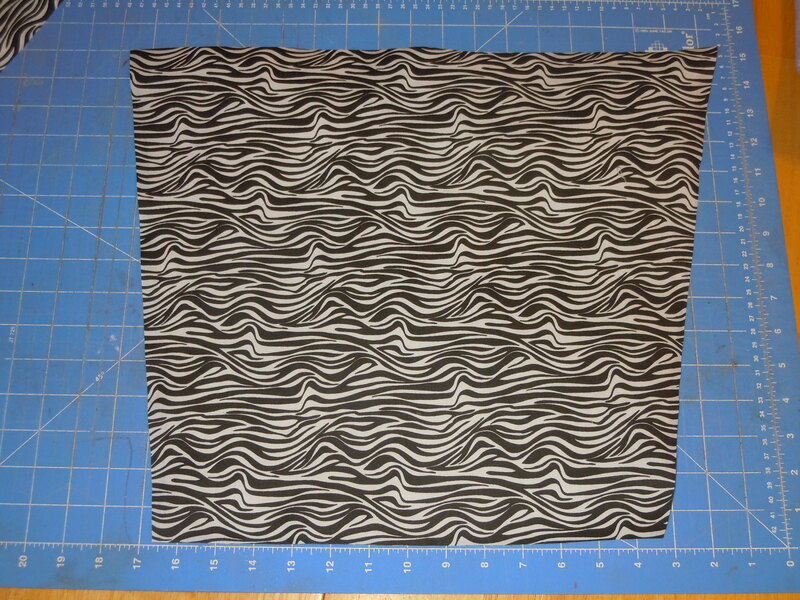 Cut one piece of interfacing. Iron the interfacing onto one of the sides. Also, here is the time to sew on your other piece of velcro, or add your snap. 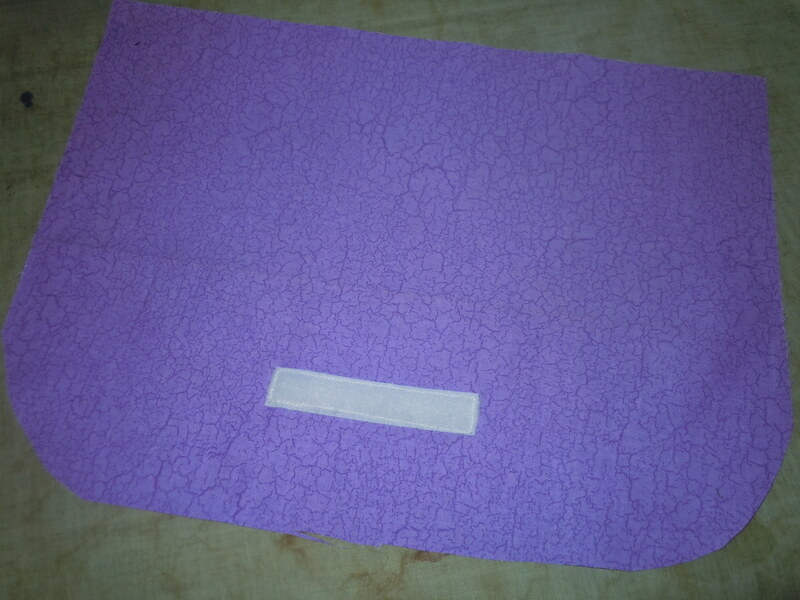 Then with right sides togther, sew three sides of the flap, leaving the top open. Clip curves and turn right side out. I always iron it and stitch around the edges. It looks SO finished. Now for the straps. Mine are 4″x 11″. I also used the lining fabric for these. Iron on interfacing. 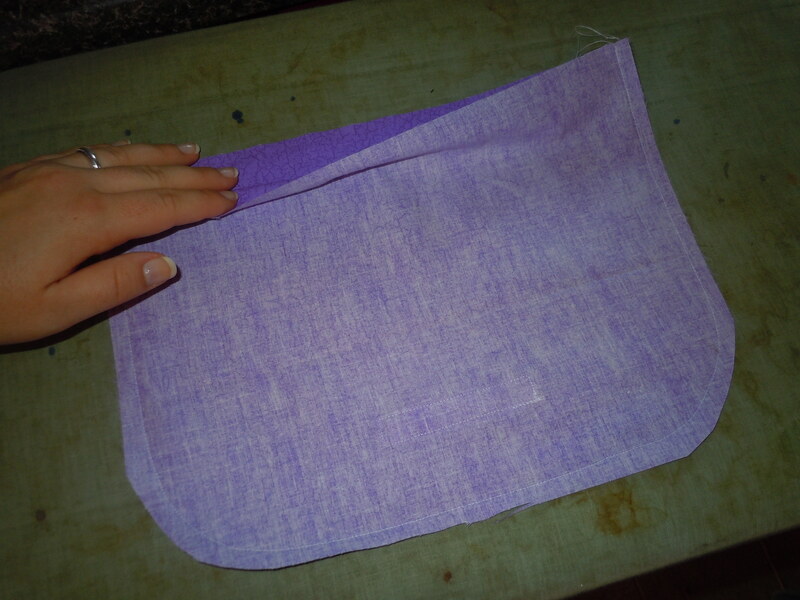 Fold with right sides together; sew. Then turn them out and press. Here they are, one just sewn, one turned out. Now all the little steps are finished. Time to put it all together! You can put both ends of the strap right on top of each other (if your machine can handle it), or put them side by side. But if you do them side by side, they will overlap with your flap. If this happens, make sure the strap is on the OUTSIDE, and the flap is toward the INSIDE. This will make sure the strap can be used and not tangled under the flap! Do your flap the same way. Center it between the pieces of fabric, on the back pieces. It is best to pin this all together, and make sure it is all even. But I usually am too lazy to pin! Sew together! This is where it is best to have a denim-quality needle, or your machine may not make it through. You need three pieces of fabric. They are all 4″ wide. The lengths are 12″, 24″, and 42″. 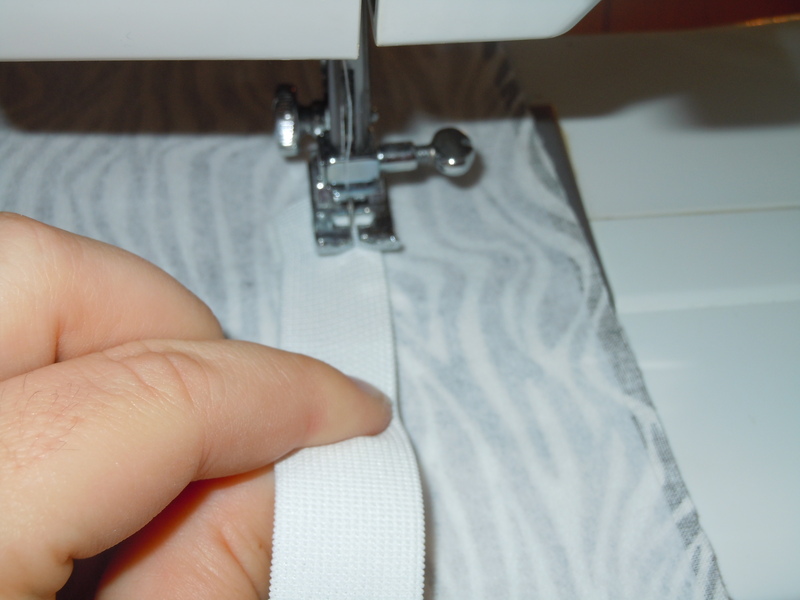 Fold together, just like a strap, and sew down the entire length of the strap. Sew the open end when you get to it. Turn them out and press. 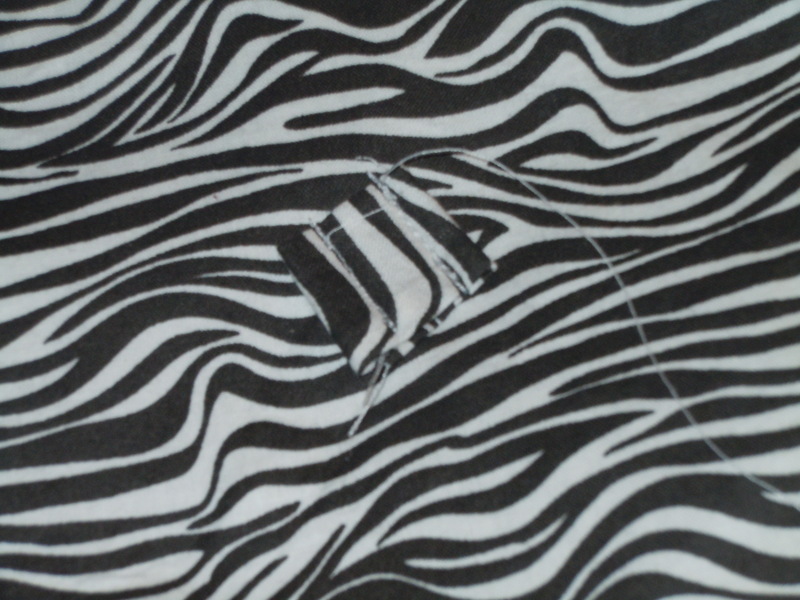 Then, turn under the open edge and sew together. You won’t really see this edge, so don’t worry! 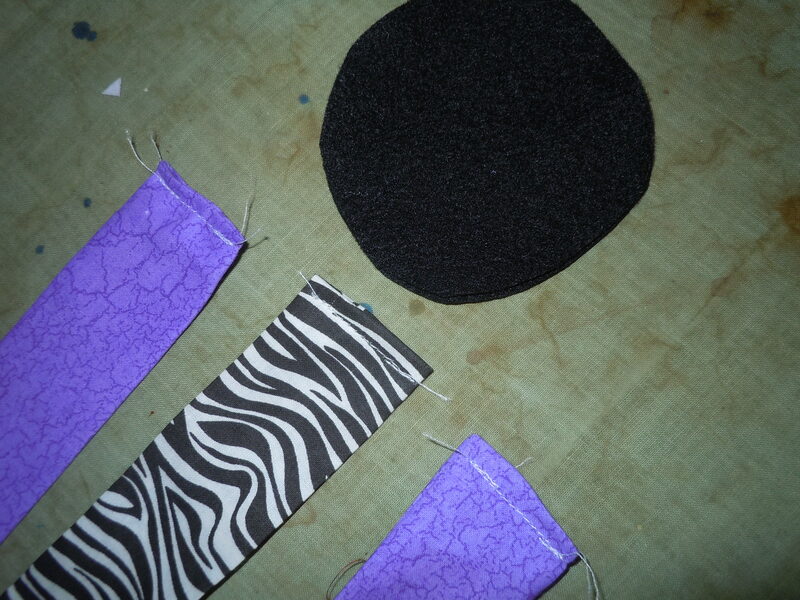 You also need two layers of felt, cut into a circle, and hot glued together. Then start in the center of the felt. Hot glue the fabric onto the felt, and onto each other, making sure it’s secure. Glue on about an inch, then fold the fabric back onto itself, gluing. Then go another inch or two, then fold back onto itself; glue. Repeat these steps, giving it a “gathered” look. Just practice until you get it right. It takes about 4 glue sticks, and you should only burn your finger two or three times! 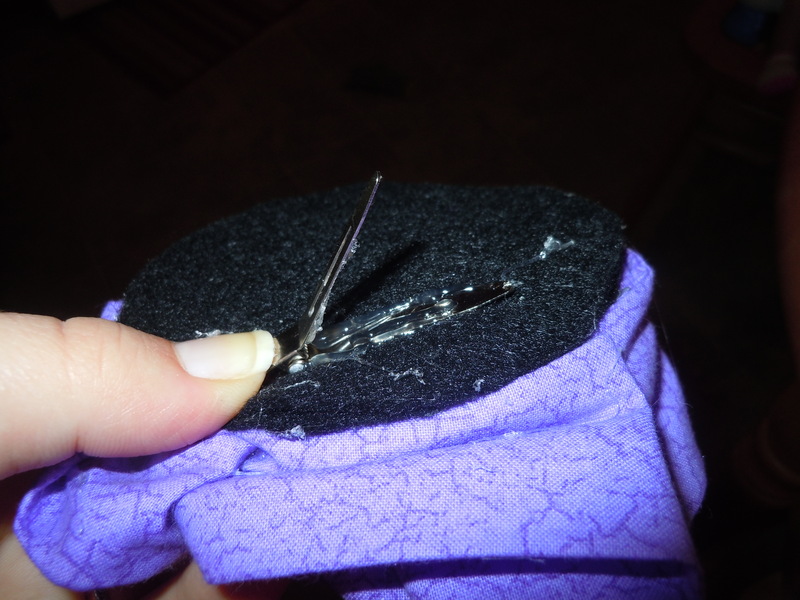 Make sure you’re gluing it onto itself, the other layer of fabric, and the felt. As you’re gluing, squeeze it together, and smash it flat as you go. You don’t want it to be shaped like a tulip! You’re finished!! Stick the flower onto that tiny loop you made, and Voila! The part of this pattern that is universal is that you can cut outer and lining pieces the same, and turn under the top edges and you’ve got a bag. Always put your straps in-between the fabrics as you sew.